Some worry it could put LGBT kids at risk. Texas Sen. Konni Burton introduced the bill. From the moment Senate Bill 242 was filed, it took less than a day before LGBT advocates were howling. 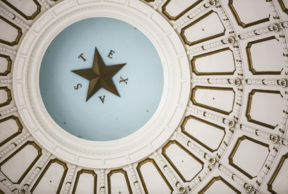 The bill basically broadens and adds teeth to a section of the Texas Education Code that requires schools to give parents access to their child’s school records. Chuck Smith of the advocacy group Equality Texas slammed the bill for putting LGBT kids who are coming out of the closet at risk if they tell a teacher, but are worried about coming out to their parents. Smith said that under Senate Bill 242, teachers might have no choice but to “out” LGBT kids to their parents if those parents are asking about their kids. And that could have huge consequences: Young people who are LGBT face an elevated risk of being kicked out of their homes or abused, Smith said. One national study found 40 percent of homeless youth are lesbian, gay, bisexual and/or transgender. “It would be backwards to force or require teachers to disclose information knowing that the disclosure of that information would have negative consequences,” Smith said.